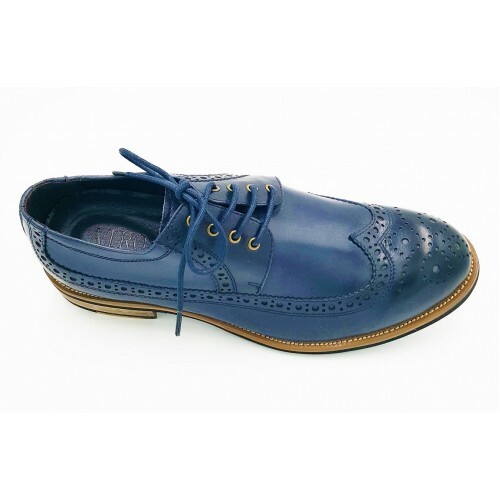 Features a soft leather upper with breathable original leather as inner lining for extra comfort. 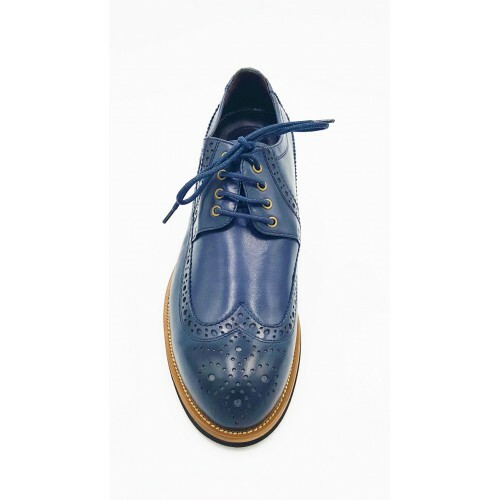 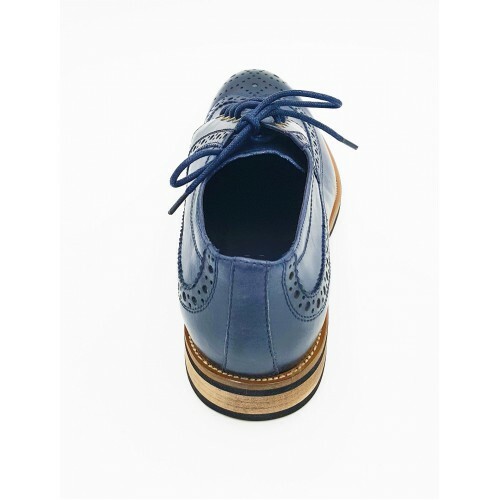 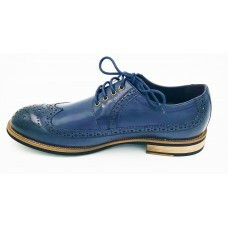 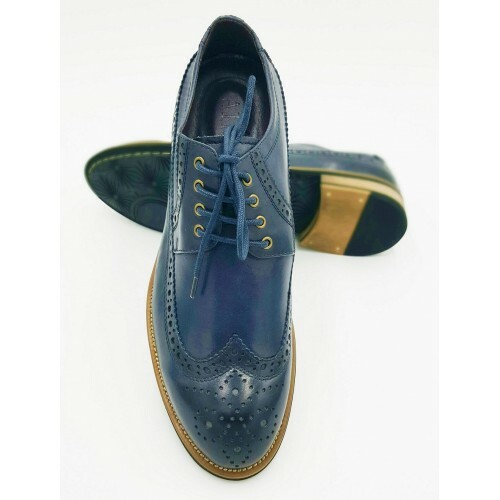 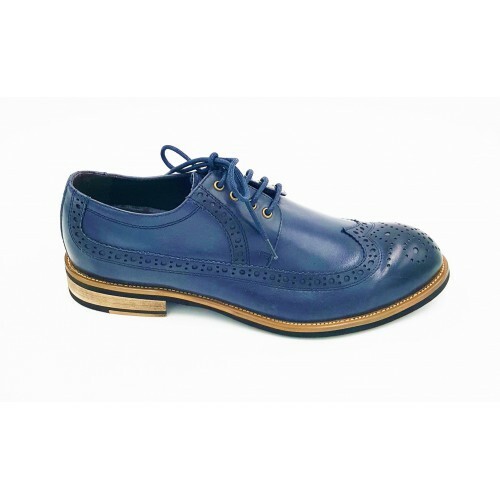 Designed with visible stitching on the seams with a classic "vintage" wingtip design, a rich two-tone classic blue leather, stretchable front-top for easy shoe-lace wear to ensure your perfect-fit. 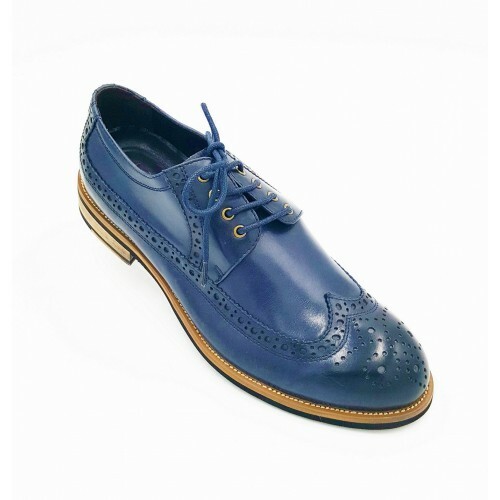 We included leather footbed providing superior underfoot comfort which can be removed to accommodate custom orthotics.